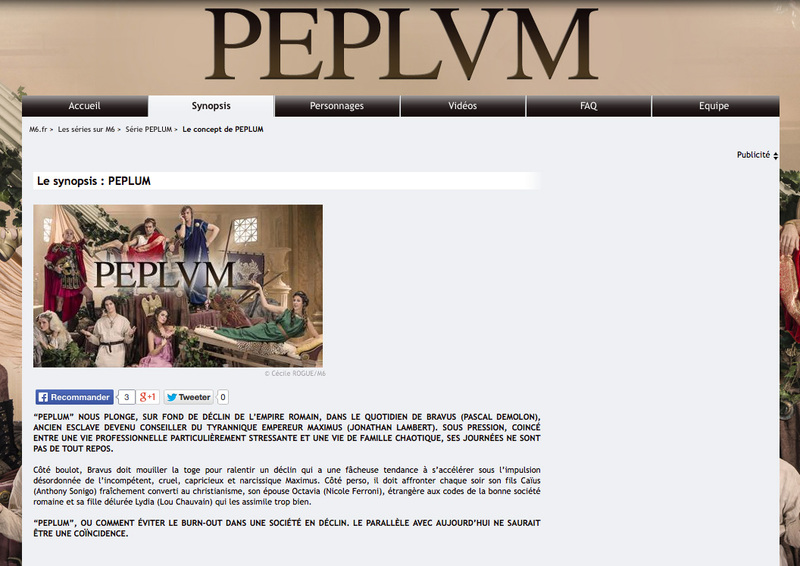 In one of those strange coincidences that only exists on the internet, a new TV show in France called PEPLUM just started last week and since then people have been following this blog's Twitter account thinking that it's the official one for the series. The obvious problem is that I post everything in English, not French. You'd think they would notice that.